They must have also been used for religious rituals to justify the enormous capital cost (and labor) of the elaborate carvings, not to mention superior engineering skills that surpass even our modern-day technology. As its name suggests, a stepwell consists of a well/pool of water which may be accessed via a flight of stairs. Whilst it is not entirely clear as to when stepwells began to be constructed, the archaeological excavation of Mohenjo-daro, one of the largest settlements of the Indus Valley Civilisation, has uncovered a large structure resembling a water tank. 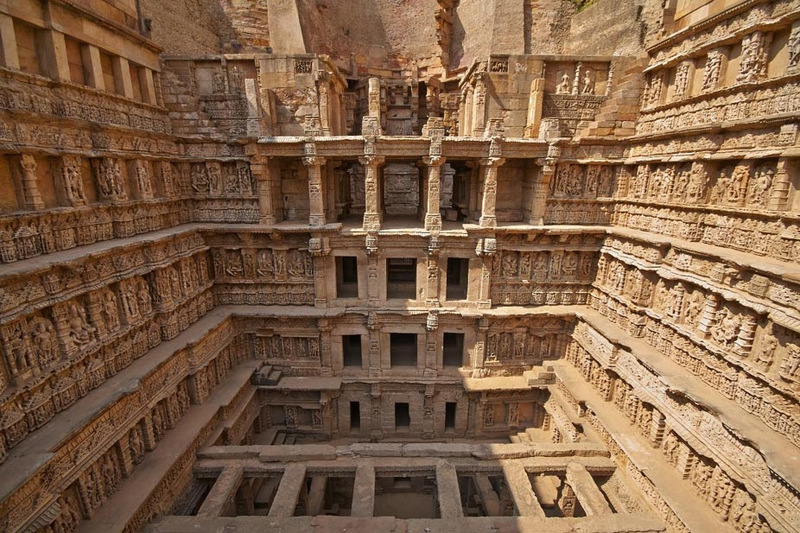 This has been dubbed as the ‘Great Bath’, and may be a precursor to the decorative stepwells of India. The earliest stepwells (known also as baori) are speculated to have been built during the 1st millennium AD (some sources placing them in the 6th century AD, whilst others say they were first built between the 2nd and 4th centuries AD). The construction of stepwells developed over time and by the medieval period they became complex structures that showcased a mastery of engineering, architecture, and art. Hence, the best-known stepwells today date to this period of Indian history. Stepwells continued to be built in India, and it has been estimated that by 19th century there were several thousand stepwells in existence. Adalaj stepwell, Gujarat (CC BY SA 4.0)& A sculpture inside (CC BY SA 4.0).